Chrome postcard. S28095. Copyright Ferris H Scott. Western Resort Publishers. 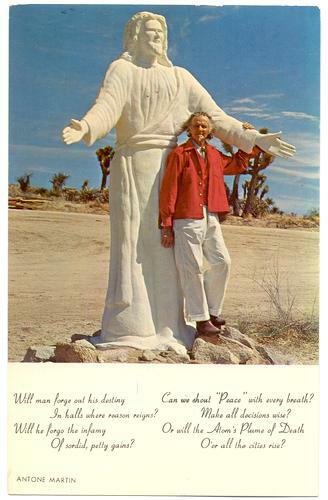 Posted 1960 from Yucca Valley, California. Minor corner wear. Very light "denting" from the handwritten message.